Nine years... nine years of choosing to love him every day, and in turn, loving him more and more. He makes it easy on me, really. He's a much better person than me. There are plenty of things either of us could had done with our lives, but we chose this. We chose us and our kids and this life. In the beginning, there were people that told us we were making the wrong choice- that four months wasn't nearly long enough to decide if our love would last for the long haul. I have to give those well-meaning folks some credit for trying to swoop in and save us, but we knew something that I think they didn't realize at the time: no love can last forever on its own. But a marriage can. And a marriage rooted in Christ can sustain a love that transcends rules and limits and boundaries. More than that? It can thrive and create new lives, and those lives can thrive. So that's what we do. We chose marriage, and now we choose love everyday. Sometimes love looks like candle-lit dinners and romantic gestures. And sometimes it looks like laying next to each other at the end of a long day and silently watching Netflix together simply because we're too exhausted to do anything else. And I'd choose that over anything else, every. single. day. I love you, Ryan. Thank you for choosing us. ATTENTION EVERYONE! I have good news: you are not necessarily called where someone else is called! 3. Confess your sins and do better next time. How you are intended to live that out is between you and God. But don’t ever- EVER- let someone else make you feel guilty for doing your very best to live out what you’re called to do. Ever. Eh. Verrrr… got it? Don’t apologize. Don’t back down. And on the other hand, don’t be a jerk when someone is called to live out that calling differently than you. Don’t veil your pride with concern. 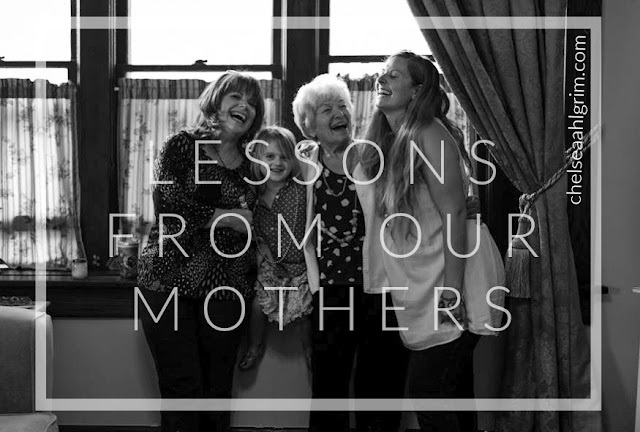 Don’t give advice when it’s not asked, and don’t you dare make another momma feel less-than because she CAN’T do something the same way you can. You’re not adding anything to the conversation by being a noisy gong (1 Cor 13:1). 1.) Who gets to decide your calling? Answer: God. 2.) Who gets to decide her calling? Answer: God. You see where this is going, right? Look guys, we’re all in this raising-humans-thing together. Someday, they’ll all be changing our diapers in between making decisions for the world and raising their own babies, so let’s just make sure we get them there knowing the reality of their calling. So let’s review: You’re you. She’s she. I’m me. God is God, and none of the rest of us are. Share this with someone who needs the reminder. He stuck out like a sore thumb. In a sea of moms in their activewear, sitting on the sidelines interjecting instructions to their preschoolers here and there, he wandered behind a curly-headed toddler, unsure of how close to follow. Occasionally, she'd look back at him and grin- usually just before doing something dangerous, as all toddlers do. And each time she took a tumble or dissolved in a fit, he'd look around apologetically and smile sheepishly. At one point, as they waddled past me in their daddy-daughter parade, I commented on her beautiful hair. "Moooommmaaaa! I want Momma!" she cried and pushed him away. "Sorry baby. Momma will be here soon," he assured her. Not long after, a couple arrived, and Curly Hair flung herself into the woman's arms. "Give Daddy a bye bye kiss," said the woman, and Curly placed her small hands on his face and kissed his lips. "Your hair is a MESS!" the woman exclaimed to the giggly girl, as her dad stood with his hands in his pockets and watched them walk toward the parking lot. He let out a heavy sigh- a sigh that I knew all too well. My heart panged... this parenting gig is tough, guys. 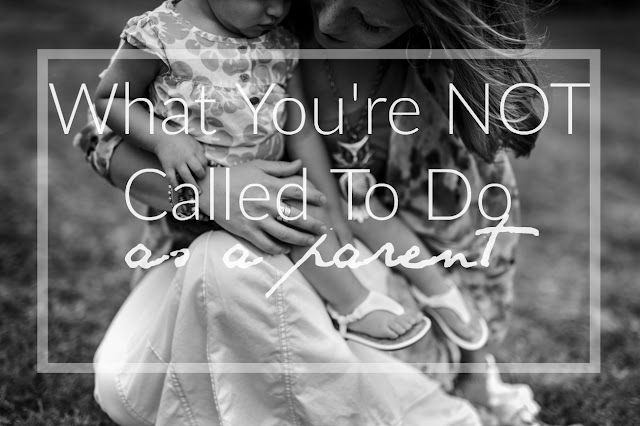 I usually speak to mothers as that's what I know best, but I also know this: if you think for a second that dads have it any easier than us, you've got it wrong. 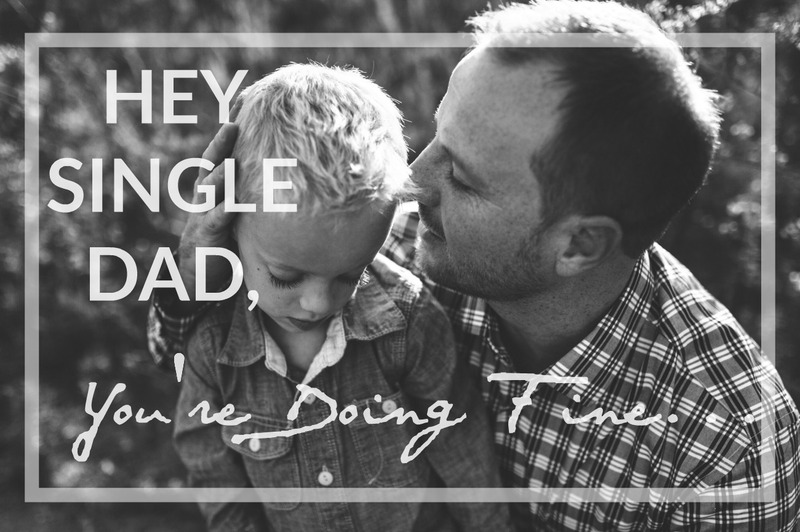 Even in the best of days, a dad is every bit as worn out from loving his family as we are. And sometimes, they're on their own. Sometimes a dad is thrown into single-parenthood with little warning, and nothing can prepare him for it. All of a sudden he's staring down little expectant faces in the wee hours of the morning asking him for breakfast and to braid dolly's hair and he's just wondering how he's going to entertain these little creatures until bedtime. He finds himself struggling through discipline and tough conversations. He spends nights sick with worry over his children's future, and he fights for every single second he can get with them. He navigates the tricky waters of co-parenting and tries to be respectful of the new normal, but sometimes he just can't understand how it turned out this way... and sometimes, in the darkest moments, he wonders if the kids would just be better off with their mom. But listen, if you're a single dad out there just trying to make it through the weekend without losing it, if you're doing your best to make the PB&J "just like Mom does" or remember all the words to the bedtime song every night, or kissing booboos, or fumbling through styling a bun for dance class, you're doing fine. You might feel completely inadequate some days, but you want to know a secret? All the best parents do... if we stop having those moments, we've probably stopped trying. So just keep going. Your kids don't need crust-free sandwiches, neatly pressed clothes, all the toys in the world, and perfect ponytails. They need you. They need your strong hands picking them up when they fall and your follow-through on promises to provide for them and keep them safe. They need to see your face in the stands at their games and hear your encouragement after they lose. They need a man in their life reminding them to respect their mother, and do their homework, and mind their curfew. They need their dad. "Why don't you HELP?! You've never taught me ANYTHING in my whole life!" Second, your reaction was priceless: a chuckle and "honey, parking is the least of your problems," And third, because it was so untrue... Never in my life has a person taught me more than you... I just didn't know it at the time. Sometimes things won't work out the way you planned. So you put on a brave face, and you deal with it. To Ask for help when you truly need it, but stand on your own two feet again when you no longer need that assistance. To handle conflict with dignity and grace. Sharing the work cuts it in half, and doubles the fun. That sometimes you work three jobs and still just barely make it, but you can make it work, and your hard work can lead to a better future. That bargain shopping is an art. To take pride in and take care of the things you earn and own. They may not always be the nicest, or most expensive, but you earned them with hard work and perseverance, and that counts for something. That the world doesn't owe you anything. Your choices have consequences, and if you mess up, fess up... then start again. That anything worth doing is worth doing well. That working hard and being nice will get you further than any amount of under-handed scheming and dishonesty. I learned that I can do hard things, how to love hard, and how be make others feel special. Tell me how not to lose myself in these years with young children. Remind me to keep going even when it feels like they'll never get it. Teach me how to spin all the plates and start again when they shatter. Show me how to make the same old chicken breast recipe feel brand new, and help me convince my kids to eat it. Encourage me to let go even if it hurts. Guide me toward the light when the darkness begins to overtake me. And teach me to give myself grace in motherhood and in life. Oh, and twelve years from now, remind me to let her father teach her to park.